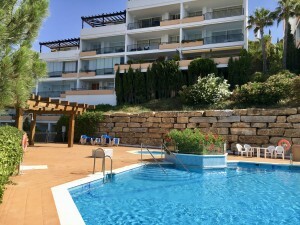 A well presented, modern, first floor, south facing apartment in Altos del Higueron. Conveniently situated within easy walking distance of shops, bars and restaurants including a national chain supermarket. 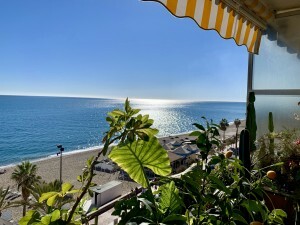 The property has panoramic views along the coast down to Fuengirola. 2 minutes drive to the motorway network makes this a perfect choice for a commuting professional or equally a perfect location for a holiday property. The development has many leisure facilities on site including large Spa, health club, gym and restaurants. Middle Floor Apartment, Benalmadena Pueblo, Costa del Sol. 2 Bedrooms, 2 Bathrooms, Built 91 m2;, Terrace 17 m2;. 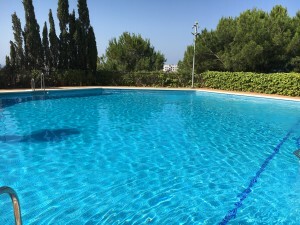 Setting : Mountain Pueblo, Close To Golf, Close To Shops, Urbanisation. Views : Sea, Port, Panoramic, Garden, Pool. Features : Covered Terrace, Lift, Fitted Wardrobes, Near Transport, Private Terrace, Ensuite Bathroom, Marble Flooring, Double Glazing.